Sister Margaret, a member of the Congregation of the Handmaids of the Sacred Heart of Jesus, is based in the USA. Currently, she lives and ministers in Philadelphia where she is an adjunct teacher in the Theology Department of St Joseph's University and Director of the Ignatian Leadership Program. 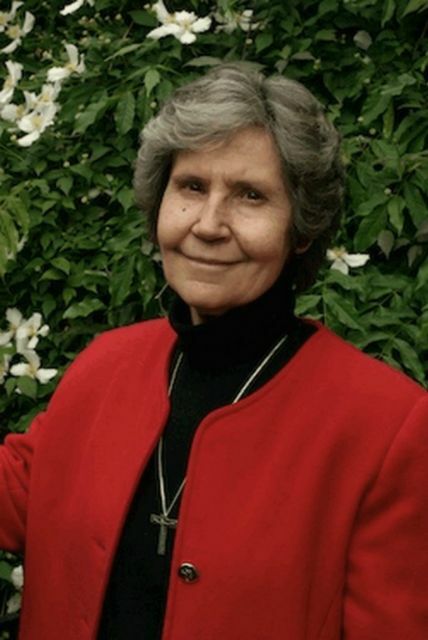 Her fluency in several languages, international travel and mission work have provided her with a global view and understanding of the universal church. She is a regular speaker and writer on the Eucharist in different countries and does consultancy work in USA and Europe. She was an International Visiting Fellow at the Woodstock Theological Center 2004-2005, Georgetown University, where she wrote her first book,"The Eucharist and Social Justice", published in May 2009 by Paulist Press. The Spanish version, "La Eucaristia y la Justicia Social" was published in March 2010 by Sal Terrae. "Adoration is something rooted in our humanity. It is what a mother feels when cradling a new-born child in her arms for the very first time. It is the amazement that shines in the deep, black eyes of the Mapuche who, with his ear pressed close to Mother earth, listens to the awakening of the life of the whole forest in her maternal womb. It is awe at the immensity of the sea, the sparkle of snow capped mountains or the power of the hurricane storm. It is the wonder that dilates the eyes and heart of a child captivated by the magic of the adventure of life." Rev. Paul Bernier, S.S.S., Editor, Emmanuel. "THE EUCHARIST AND SOCIAL INJUSTICE"
Published May 2009, by Paulist Press. "LA EUCARISTIA Y LA JUSTICIA SOCIAL"
The Spanish version of "The Eucharist and Social Justice" published March 2010 by Sal Terrae. Please confirm that you are not a script by entering the letters from the image above.